Little did he realize, or I for that matter, when I moved to Oahu, L&L is everywhere on the island. L&L is everywhere and nothing like what you get here in California. Just as my friend was, I was shocked to find out that L&L was all over the island and not just a mainland thing. (I had never really looked into the history of L&L.) Also, just like my friend, I didn’t have the most positive outlook on L&L. 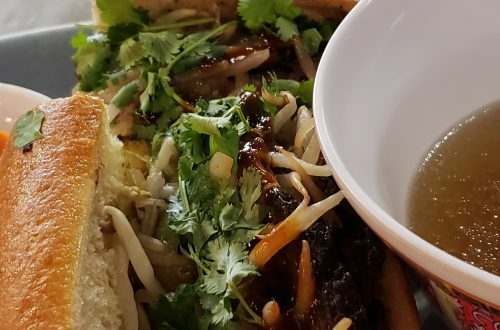 Their food, I thought, wasn’t great, wasn’t horrible, it was just a nice alternative for when you wanted to be a little different in the mall food court. I went there for the occasional chicken katsu and that was about it. 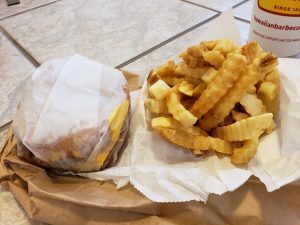 Because I wasn’t a huge fan of L&L to begin with, it took me awhile before I even stepped foot into a Hawaii location. I figured the food would be just like it was back in California and why waste my time there when I could get “real” Hawaiian food elsewhere. The first time I stepped foot into an L&L Hawaii location I was blown away by the sheer amount of food they offered. The location near my home in Kailua had a wall covered with special menu items and there base menu was pretty expansive too. Their menu size wasn’t the only thing that was different. As I soon realized, the food was nothing like what I was used to back home. The flavors were more deep and developed. The food, from the teriyaki beef to the mac salad, tasted fresher. Everything was just better. 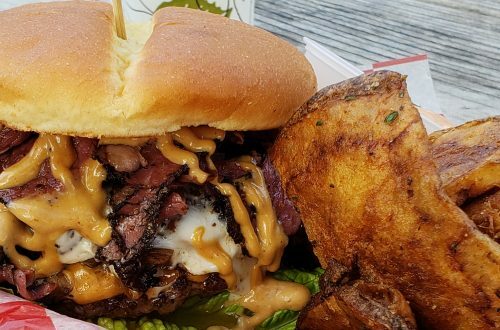 L&L quickly became one of my go-to spots for some fast, good eats. 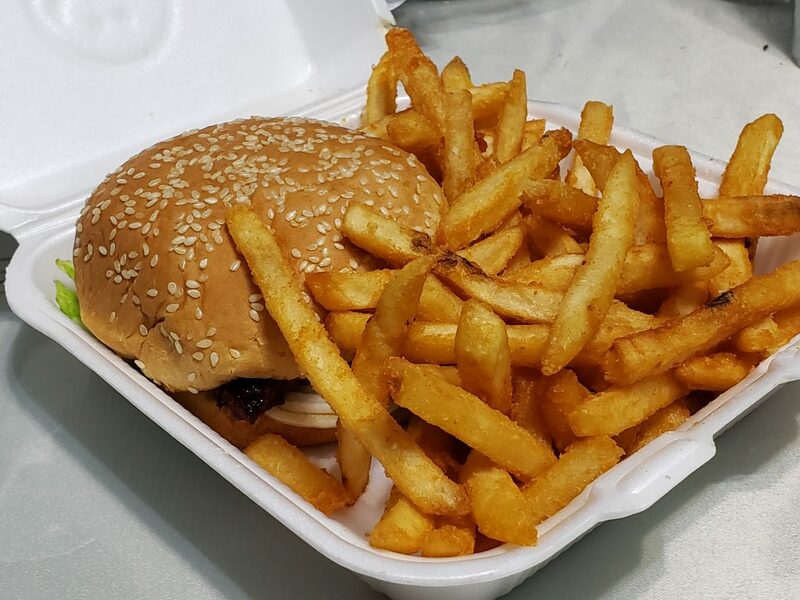 I was obsessed with their BBQ chicken sandwich and my husband says they have one of the best burgers on the island. We both couldn’t get enough of their french fries. 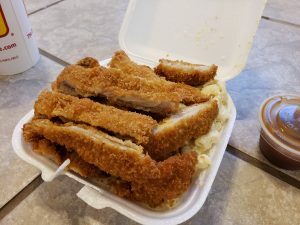 Their chicken katsu was always perfectly cooked and you will never go wrong with a mixed BBQ plate. 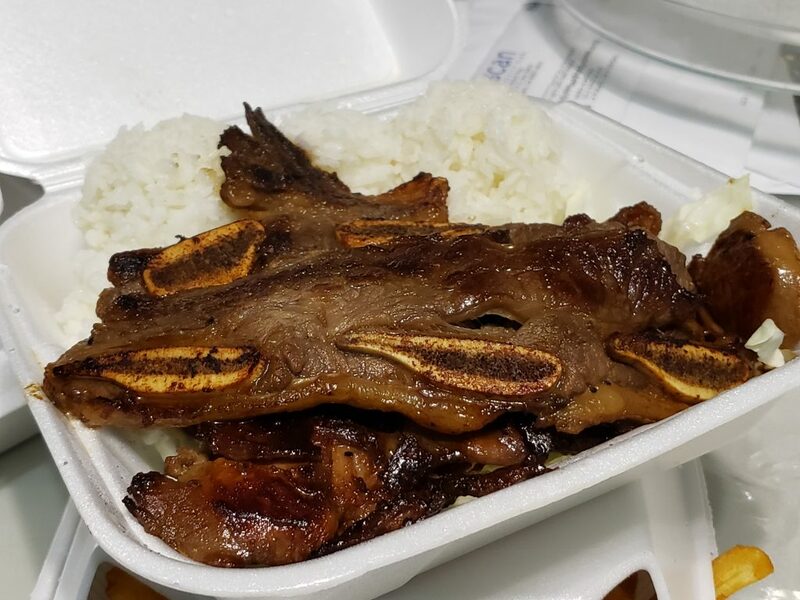 From their kalbi ribs to their teriyaki beef, everything is cooked perfectly and packed with so much flavor. We also enjoyed the occasional garlic shrimp and fried noodle plate from there. 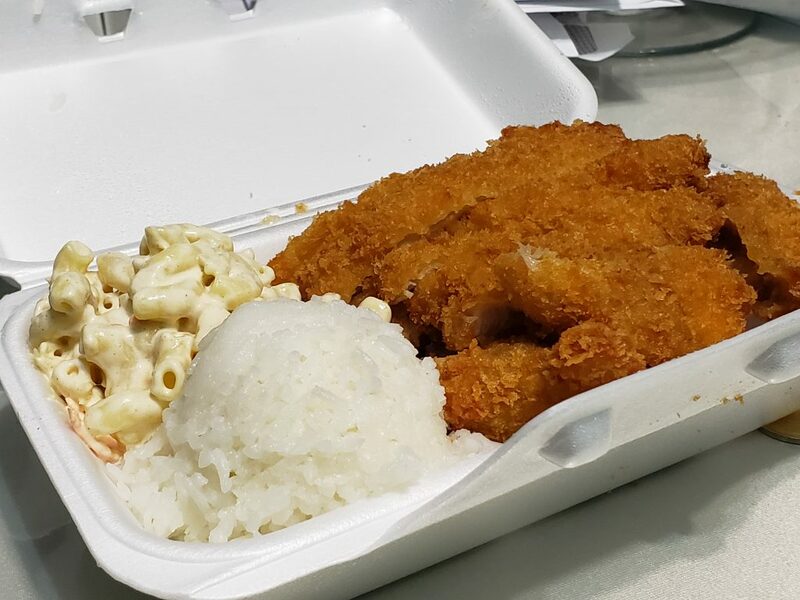 Upon returning back to California, I wondered if maybe my original views of mainland L&L were wrong, if maybe the food wasn’t so bad and I just had to adjust to Hawaiian fare. I also wondered if maybe I had been right, but since my last visit maybe the food had improved. 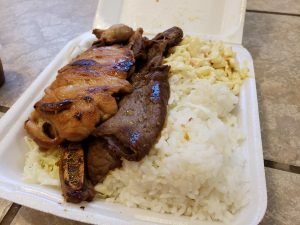 My husband and I wanted to test how L&L mainland compared to L&L Hawaii, so with L&L Hawaii fresh in our mind we found the highest Yelp rated L&L near us and decided to give them a try. 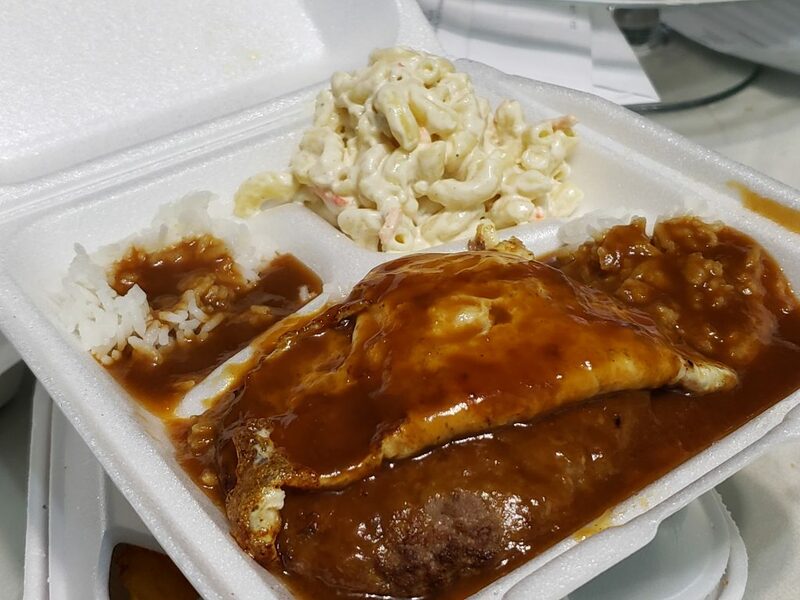 We ordered all of our basics, the BBQ chicken sandwich, the chicken katsu, and a BBQ mix plate, as well as one loco moco and some musubi just because. I sadly wasn’t wrong and things haven’t changed. The chicken sandwich was fatty and under seasoned. The chicken katsu was greasy and tasteless. The rice was over cooked and the mac salad over dressed. All the pieces of meat on the BBQ mix plate were under seasoned and over salted. 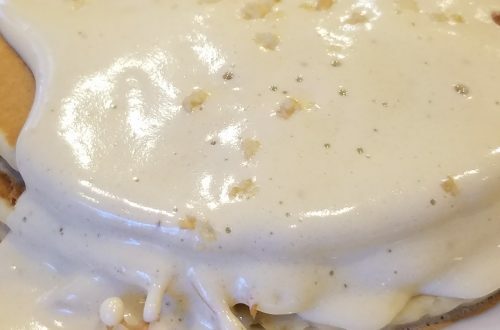 The loco moco gravy was watery and bland. 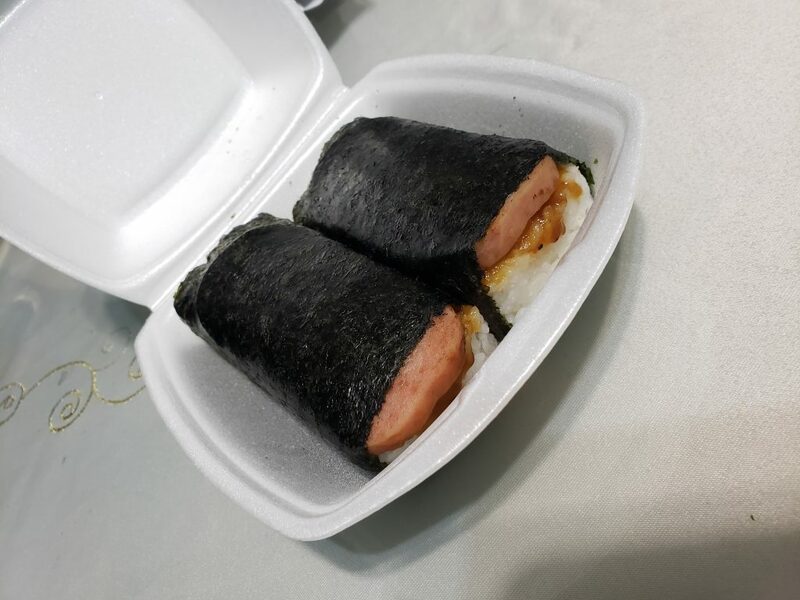 The spam on the musubi was not seasoned or cooked and they used way too much seaweed on the wrap. 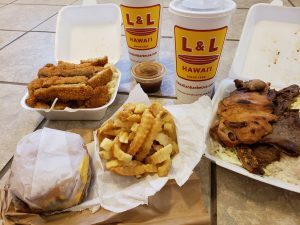 I miss L&L in Hawaii and highly recommended if you find yourself on the islands to give one a try, even if a mainland location was left you sad and hungry.